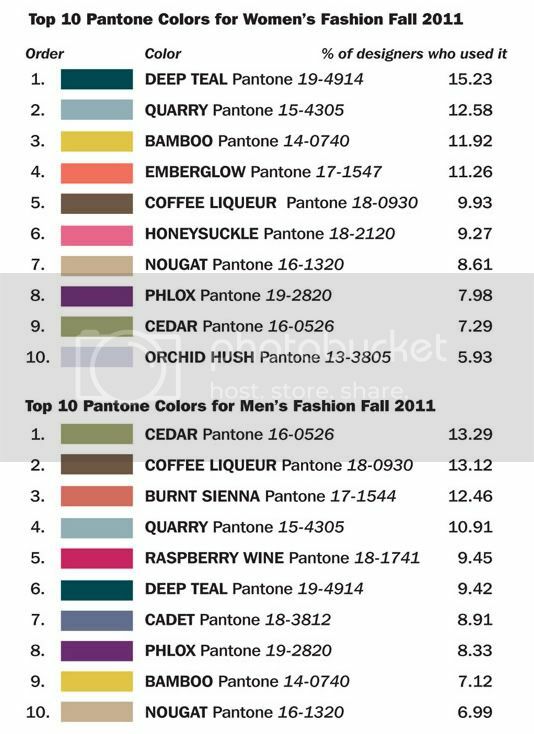 As Fashion week get's started here is a hint of the top color trends to be on the lookout for during the Fall 2011 season. At first glance the colors seem more Spring/Summer to me then Fall, so I'm really excited to see how these hues get translated into the clothing. You can read more on this at WWD.